CREATIVELY SPEARHEADED CAMPAIGN WITH A 3' 20" STOP-MOTION ANIMATION AD CALLED "THE GREATEST GIFT"
Employed a mobile-first strategy, supported by a TV premiere the same evening: by the end of day one, 23 million people had seen the ad – half the UK adult population! Following transmission, the ad break achieved 100% positive PR sentiment (including coverage in The Sun, The Mirror, and Mail Online), with social sentiment being measured as 99% positive. The supermarket, in partnership with the broadcaster and PHD, turned an ad break into branded seasonal entertainment and a unique Gogglebox moment. 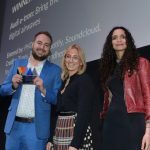 The work was highly commended in the Content Excellence category at Campaign’s Marketing New Thinking Awards, held in association with Sky Media. Christmas ad campaigns are now as much about media impact as they are media impacts. Sainsbury’s 2015 Christmas campaign, “Mog’s Christmas calamity”, had been very effective in creating brand warmth and overall business success. However, it had not moved the dial on customers’ perceptions of Sainsbury’s Christmas food as much as had been hoped. So for 2016, to cut through in the traditional seasonal supermarket ad battle, PHD took Sainsbury’s core Christmas proposition, that “time is the greatest gift you can share with those you love”, and created a piece of unique content that placed its food at the heart of moments that would be shared by some of the most famous families in the UK – the cast of Gogglebox. In collaboration with partners Channel 4 and Studio Lambert (the creators and producers of Gogglebox) PHD created a three-minute mini-episode that ran on 18 November during one of the show’s ad breaks. During the break, the cast watched Sainsbury’s stop-motion animated Christmas ad “The greatest gift”, while discussing the mouth-watering food it featured. But there was a twist. As they discussed Sainsbury’s food, they were magically transformed into animated versions of themselves, becoming part of the campaign’s animated Christmas world. As it is the archetypal holiday of traditions, it’s only to be expected that when it comes to Christmas food advertising, supermarkets primarily feature traditional products that everyone returns to year after year. Every grocery retailer pushes largely the same products with a similar festive look and feel. If you cover up the logos, most shoppers would struggle to tell the brands apart. With grocery sales in the week before Christmas 50% higher than in a typical week, it was vital to ensure that Sainsbury’s Christmas food proposition landed with shoppers at the right time. Make Sainsbury’s Christmas food famous. Increase purchase intent and purchase. This work created a distinctive point of difference for Sainsbury’s in a category that spends more than £100m on advertising in the weeks running up to Christmas. Although it used commercial airtime to deliver the message, the mini-episode was approached as a piece of entertainment that would enhance Gogglebox fans’ enjoyment of the show, not as a disruptive piece of advertising. Though brands have partnered Gogglebox before and ads have appeared in the show itself, by animating the show’s cast in the style of its Christmas campaign, Sainsbury’s brought Gogglebox into its Christmas world, rather than invading the Gogglebox world with its message. In previous years, Sainsbury’s Christmas comms strategy consisted of a brand campaign (with no direct product sell) to capture the hearts of the nation and provide air cover for a separate strand of Christmas food advertising with a different creative look and feel. Rather than splitting the media investment between ‘brand’ and ‘food’, for Christmas 2016 it was integrated for the first time. Instead of one big blockbuster Sainsbury’s Christmas launch, there would be two; a big brand launch to quickly establish awareness of the overall campaign idea, then a second big moment that would extend it to specifically promote Sainsbury’s Christmas food credentials. Despite having based Sainsbury’s past three Christmas campaigns on ‘Christmas is for sharing’, research for 2016 revealed that it was a more meaningful proposition to our target audience than ever. Families said they valued quality time together more than anything else at Christmas. The comms strategy was consequently grounded in that insight. A solution was needed that put Sainsbury’s food at the centre of shared family Christmas moments. Creatively spearheading Sainsbury’s Christmas campaign was a 3’ 20″ stop-motion animation ad called “The greatest gift”. A specially written song (sung by James Corden) told the story of a man called Dave who is struggling to balance his work life with sharing quality family time in the run-up to Christmas, until he finds an ingenious, uplifting solution to his problem. To build mass awareness quickly, “The greatest gift” was launched using a mobile-first strategy across Twitter, YouTube and Facebook on the morning of 14 November, supported by its TV premiere during ITV’s I’m a Celebrity… Get Me Out of Here! that evening. This approach meant that by the end of day one, 23m people had seen the ad – half of the UK adult population. Sentiment was overwhelmingly positive, with 97% of PR and 83% of online conversations as such. Following four days of awareness-building to establish the campaign, Sainsbury’s Christmas food range was then integrated into the campaign by partnering Gogglebox for a first-of-its-kind content partnership. Gogglebox was the perfect show to position Sainsbury’s food at the centre of family Christmas moments. The show’s cast were families and friends who millions of TV viewers already saw spending quality time together every week (often while eating) and who represented an authentic snapshot of the diversity of families and friendships across modern Britain. For the entirety of Gogglebox’s second commercial break, the power of content and context were combined in a specially created three-minute version of the show, matching its style and featuring three real participating households (Jenny and Lee, Giles and Mary, and Stephen and Chris) watching Sainsbury’s Christmas campaign. This was achieved in full partnership with Gogglebox production company Studio Lambert; its team filmed and edited the ad’s live action sequences to make it feel like an extension of the show, rather than an ad break. Then, as viewers watched them discuss the ad (and Sainsbury’s food), each Gogglebox family was transformed into stop-motion versions of themselves, becoming part of Sainsbury’s animated Christmas world – while their conversations about Sainsbury’s food continued. To ensure the animations felt like part of the overall campaign, live-action elements were painstakingly reproduced by Passion Animation Studios, which produced and created “The greatest gift”. Before, during and after the break, the partnership extended to include Gogglebox and its stars giving full social-media support, including the families changing their Twitter avatars to their stop-motion alter egos. The break showed that content marketing and advertising are not mutually exclusive. This contextual impact of the seamless integration of Sainsbury’s and Gogglebox was reflected in the audience response as PHD drove Sainsbury’s Christmas food fame at scale and at speed, and delivered results at the Christmas tills. By the end of the weekend, the break had been watched by almost 7m people (4m across the two linear transmissions of the show and 3m online). The break’s combination of context and content made it a truly engaging and memorable moment for viewers. This piece of content that felt more like the show it was placed in (while keeping within Ofcom’s strict regulatory guidelines) had become a piece of branded entertainment in its own right – and specific research commissioned from BDRC International found that it delivered on objectives. A majority of those who had seen the break agreed that “Sainsbury’s have a great premium food range” and said it had made them more likely to shop for Christmas food there; almost half of those who visited Sainsbury’s as a result of watching the break went on to buy one of the products featured; and there was a significant increase in store visits among those who had seen the spot.